Recently, Google announced the launch of the Google Hangouts app, which is a cross-platform messaging system replacing Google Talk, Google+ Messenger, Google+ Hangout video chat, and pretty much everything else. Hangouts chat messenger supports one-on-one and group chatting across desktop, Android and Apple devices and includes photos, emoji, and video calls. It allows you to turn any conversation into a video call with up to 10 friends; then add apps and effects to put a smile on your face. You can have a group Hangout with up to 100 people for sending and receiving messages but video calls can have a maximum of 10 participants and there's a 150 minute check-in to make sure you're still there. Hangouts stay in sync across devices so you can start or continue them across devices. You can see when friends are on Hangouts, if they’re currently typing, and if they’ve seen your messages. Using Google+ Circles, you can select specific friends or a whole group to start a chat with. If you’re offline, Hangouts will store your messages until you return. Hangouts app works on computers, Android and Apple devices, so you can connect with everyone, and no one gets left out. If you want to download Hangouts plugin to your computer, visit the Hangouts website using a chrome browser and click on the "Available for Computer" link. The plugin will be added to your PC and you can start chatting with it asap. 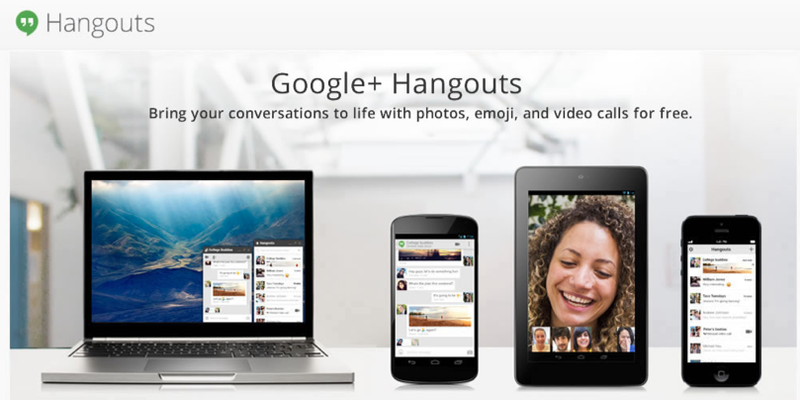 You can also download Hangouts app on the AppStore and also get it for Android from Google Play. If you want to hangout with me, add me; +Jide Ogunsanya to your Google+ circle. 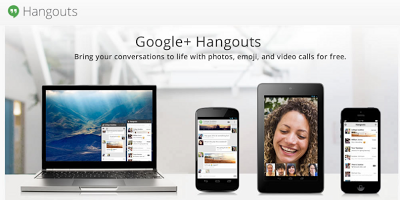 Have you tried the new Hangouts app yet?